Pat Wynnejones uses the changing seasons and Christian festivals as the framework for this collection of verse by poets old and new. Included are poems written by children themselves. - Publisher This volume uses the changing seasons and Christian festivals as the framework for this collection of verse by poets old and new. The book is divided into Seasons and Celebrations, and the poems comprise a varied mix of traditional and contemporary verse, including some written by children. 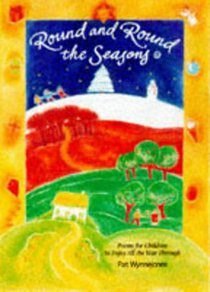 About "Round and Round the Seasons"
This volume uses the changing seasons and Christian festivals as the framework for this collection of verse by poets old and new. The book is divided into Seasons and Celebrations, and the poems comprise a varied mix of traditional and contemporary verse, including some written by children.